Bringing new and exciting technologies to market requires out of the box thinking. The American poet Ralph Waldo Emerson is credited with saying ‘build a better mousetrap and the world will beat a path to your door’. But he didn’t live in a world where there are more new ideas than people and more markets than ever before in human history. It’s no longer enough simply to have a good product; innovation is as much about getting new products to the right market as it is about coming up with the idea in the first place. While the word ‘innovation’ often denotes disruptive digital technologies fostered in nimble information technology start-ups and hot-desking workspaces, the IT sector doesn’t have a monopoly on innovation. Some of the most exciting innovations in Australia are coming out of the agriculture and food sector, delivering products and tools that will help us adapt to the trials of a warming climate, meet the changing dietary preferences of a growing population, and help make food production more sustainable and productive. Traditionally, science advances in agriculture have come from government-funded laboratories and academic institutions. But as governments around the world look to make scientific research deliver industry outcomes and be financially more self-sustaining, a shift is happening. Agribusiness innovation is now increasingly being found in partnerships and alliances between research organisations and industry; from multi-national agribusiness giants with billions of dollars at their disposal all the way to small-scale start-ups with little more than a good idea, determination and some savvy investors. New commercial avenues are being perused to help innovations born in the lab successfully make their way to the paddock. Australia has consistently scored highly in international rankings for the quality of our scientific research. However, when it comes to translating those scientific discoveries into real-world outcomes, we are lagging far behind comparable countries – so far, in fact, that this year Australia lurked at 76th on a global ranking for innovation efficiency. This assesses Australia’s ability to generate socioeconomic benefits derived from knowledge, creative and technological outputs relative to the level of inputs, such as education and research, human capital as well as market and investment ecosystem development. Similarly, Australia is at the bottom of the OECD when it comes to the intensity of collaboration of universities and science institutes with industry. The Australian Government is taking steps to improve the translation of Australian science into economic benefit, with considerable investments in its National Innovation and Science Agenda announced in 2016. At the same time, agribusiness research and development is going through a period of significant change. Globally, around five per cent of all research and development investment goes into food and agriculture, but the source of that investment has changed considerably over the past half a century. In richer countries, such as Australia, public spending on research and development has declined partly because of fiscal deficits but perhaps also because, it has been suggested, governments (and voters) have grown complacent, taking the supply of quality food for granted. But we know the need for new ideas and innovation in agribusiness hasn’t gone away. If anything, it’s more necessary than ever, as climate change threatens food security and a growing global population places even greater demands on agricultural production and the natural resources it heavily depends on. On the surface, it seems like the obvious fix for Australia’s innovation woes is for research institutions to partner with industry. But that’s far from a simple prospect, because industry itself is changing. 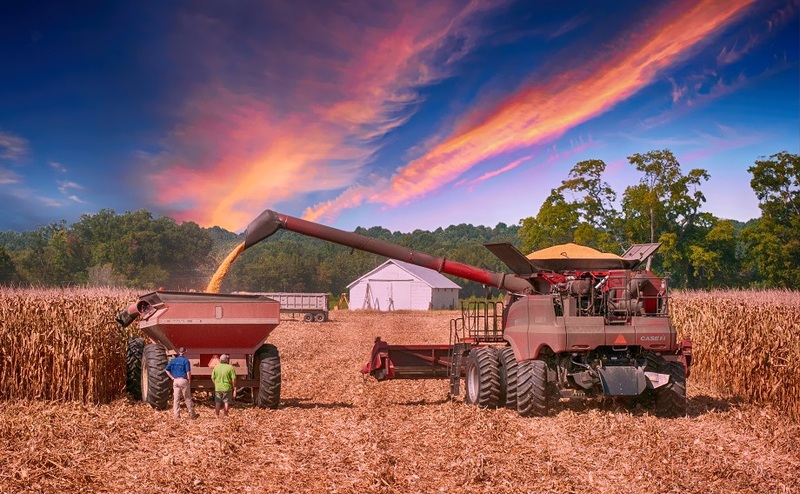 In recent years, the agribusiness industry has experienced some massive mergers and acquisitions that are changing the landscape, creating ever larger, globally-consolidated players that will challenge smaller regional companies. In 2016, Bayer was successful in an acquisition of the US Ag-tech giant Monsanto with an offer worth US$66 billion, which is expected to be concluded once regulatory approvals are secured. In May this year, ChemChina completed a US$43 billion takeover of Syngenta, and in September, DuPont and Dow merged in a deal creating a company valued at US$130 billion. While these mergers and acquisitions may result in increased efficiency in research and development – as several companies were previously working independently on the same problem but can now can pool their resources – they also impact how research and development in agribusiness unfolds. Consolidation generally reduces diversity in products and in thinking, and as the natural world has shown us time and time again, diversity is a key to resilience. Despite all their extraordinary resources – both financial and human – these mega-companies can lose some of their agility, their willingness to take risks and their ability to operate outside accepted parameters. Bigger companies tend to have clearly defined strategies for research and development, which can make it harder for left-field, transformative ideas to get support. There is also a risk that truly innovative, disruptive ideas will challenge a company’s existing business model and therefore pose a threat to the product base that has led to a company achieving such pinnacles of global success in the first place. While mergers increase efficiency of research and development, there is a cost for the public sector, as the pool of potential large agribusiness companies to partner with also shrinks. Now is the time to develop new pathways to bring science to market. With all the recent focus on innovation, there are suggestions the term has come to represent nothing more than the pursuit of money at the expense of the fundamental and basic science that underpins all research and development. But it’s important to remind ourselves that without innovation, there is no progress. This is one reason organisations like the Bill and Melinda Gates Foundation have invested so much philanthropic funding in agricultural research, development and delivery. At last count, the Gates Foundation had committed more than US$2 billion to agricultural development alone for parts of sub-Saharan Africa and the Indian sub-continent. The issues the Gates Foundation hopes to address are ones affecting farmers the world over: how to get greater, more nutritious yields from crops that are more resistant to pests and extreme weather conditions, how to improve livestock management and breeding, and how to increase the market value of agricultural products, to name just a few. Implicit in delivering these benefits in developing countries is the nurturing of local innovation systems such as in-country small and medium sized agricultural enterprises that can sustain a local economy that lifts the community from poverty. Funding R&D throughout the research pipeline – from ‘blue sky’ projects to translational science – also makes solid economic sense, with the numbers to back it up. A 2017 report by ACIL Allen Consulting looking at the impact and value of our research activities found that our full research portfolio delivers more than a five-fold return on investment. In one case study of our research into grains with high levels of resistant starch, which led to the development of a patented form of barley known as BARLEYmax™, the report found that from an initial investment of $51.8 million, the estimated benefits could be as high as $554 million. But we can do better. We have a huge patent portfolio – more than 1,800 patents in our collection – making it the largest patent holder in Australia. We need to look at how to make those patents work harder. One way is to work with medium-sized agricultural companies to bring these ideas to fruition and to market, and a great example of this is Novacq™ prawn feed. Bringing together expertise in prawn biology, microbiology, biochemistry and nutrition, researchers looked to marine microbial organisms, which are a natural part of a prawn’s diet, to produce a novel bioactive additive to feed that helps boost prawn growth. The result is prawns that grow faster and are healthier. We were granted the first in a series of patents around the technology in 2009 and are now working with Ridley – a leading provider of animal nutrition in Australia – to bring the product to market in Australia and around the world. This allows an Australian company to develop an international line of business. Aquaculture is a rapidly growing industry globally; since 2015 more protein is produced globally from aquaculture than beef cattle and this is increasing every year. Ridley may be smaller than crop-focused ag-biotech multi-nationals such as Monsanto, but it is an established market player that is also open to exploring emerging technologies. Smaller companies are also more nimble, more agile and able to scale-up in response to demand. This year, we inked a deal with and took a stake in US-based agricultural biotech start-up Amfora to commercialise our technology to dramatically increase the oil content of forage from crops such as corn, alfalfa and sorghum. This technology increases the amount of oil in a plant’s leaves, stems and other biomass by up to 38%, which puts the oil output on par with oil palm. Such high oil levels are not required to increase the calorific feed value of forages as even 12% oil-containing feeds offer huge benefits for farmers, providing cattle with more nutrition and reducing the need for supplementation. In the future, the technology will most likely be applied in other larger scale biomass crops for oil for a sustainable biofuel market and also potentially for human consumption. Despite its enormous potential benefits, so far bigger agribusiness multinationals have not been interested in taking up this technology because it doesn’t align with their strategy and potentially would be too disruptive to existing core oilseed businesses. So we successfully sought US$5 million in venture capital funding with Amfora to begin to bring the technology to market. It’s a new way of delivering ag-tech to the market for us; start small and grow. The leaf oil case study illustrates another possible avenue for boosting agricultural innovation, which is venture capital funding. We recently entered into a partnership agreement with Silicon Valley venture capital company Finistere to explore Ag-tech and other start-up opportunities. The idea behind this partnership is to give us access to Finistere’s business acumen, mentoring, and most importantly, its extensive portfolio of partner companies. This will enable us to understand the research and development needs of these companies’ portfolios and look to meet those needs. The agreement also gives us access to possible seed funding and encourages Finistere to incubate our technologies. We are structurally still managed as a publicly-funded R&D institute and will need to become more agile to capture these new relationships. As a part of our adaptation to the innovation culture, we developed its own incubation and acceleration program, ON in 2015. It aims to help researchers working on technologies with commercial potential to take those to the next level, and is open not just to our own researchers but also those in Australian universities and other publicly-funded research agencies. An example of one of our agricultural projects involved in the ON program includes a technology for supplementing animal feed with algal products that can suppress methane production in ruminants, potentially increasing feed use efficiency and creating low-carbon, sustainable cattle production. It may even offer farmers an additional income stream from greenhouse gas abatement schemes. Home-grown innovation doesn’t mean we should only have our eyes fixed on Australian markets. Indeed, perhaps the best chance for commercialisation of some products may lie overseas where there are greater business opportunities and much bigger and receptive markets where new products from R&D programs can be successfully launched. For example, an essentially gluten-free barley called Kebari™ that is suitable for individuals with coeliac disease and gluten-avoiding consumers was co-developed by us and GRDC. This product got its first big break when it was used by German brewer Radeberger to make the first commercial, barley-based gluten-free beer. Globally, there is a major market shift underway towards healthier food products, which is a massive opportunity for value-adding in Australia. To capture this opportunity, one of our spin-out companies, The Healthy Grain, has taken one of our innovative grain products – BARLEYmax™ – to international markets. The Healthy Grain, through recent a recent capital injection and partnership with the Japanese conglomerate Teijin Ltd, is now making great inroads into the health food market in Japan where its breakfast food, meals and snack products have been enthusiastically embraced. Other cereal products we’ve developed such as a food-focused hulless KebariTM will be commercialised in the future via The Healthy Grain. Similarly, a novel high-fibre wheat, developed in the joint ARISTA venture with ourselves, GRDC and Group Limagrain has been commercialised initially in the United States via the Bay State Milling Company, with its flour branded as HealthSense™. It is expected that this will make future marketing of this product in Australia an easier proposition. There’s a reason why so many Australian start-ups take their ideas overseas then return to the Australian market once they have become established. And we have set up an office in the United States to take advantage of these opportunities. This is not a ‘brain drain’; this is not a loss of Australian ingenuity and ideas. In such a fluctuating investment climate, and a relatively small venture capital ecosystem as exists in Australia, sometimes the only way to make Australian ideas a commercial reality is to set them up on the world stage first. 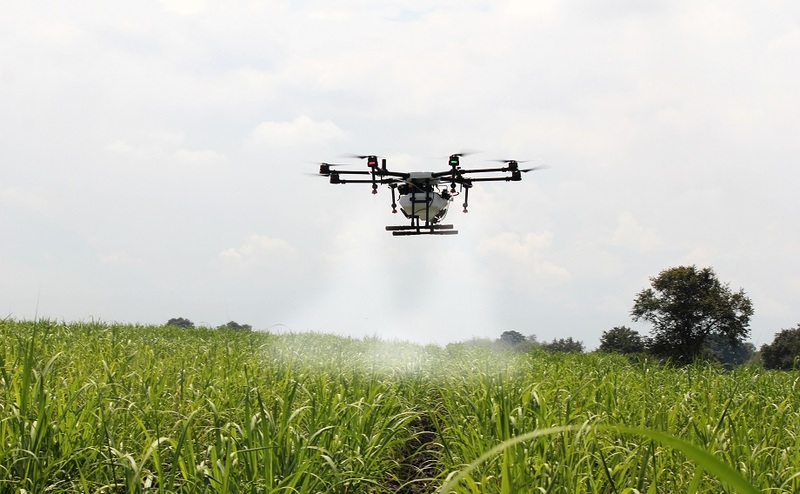 Because these technologies come from Australian innovators like us, much of the commercial benefits and revenue streams return to Australian shores, to further boost Australian agribusiness research and development. Australia has a proud legacy of agricultural innovation, from the stump jump plough to self-twisting yarn, that was necessary to survive and thrive in an often inhospitable climate, unforgiving landscape and hard soils. While Australia has a strong foundation of excellence in scientific research, that alone is not enough. We also need to forge strong ties with industry, to translate this research into real-world benefits. And in this increasingly connected world, the market is global so the connections must be global. We also need to make the most of the incredible human resources that we have; young, dynamic, entrepreneurial researchers who are willing to take chances, explore disruption, launch start-ups, test the market, and embrace every opportunity. These are interesting times, but with great disruption comes great opportunity, and the future of Australia’s agricultural innovation looks bright. Dr John Manners is Director of CSIRO Agriculture and Food. He has been with CSIRO since 1985, has published more than 200 refereed research journal articles and is co-inventor on several patent applications on disease protection technologies. John has a strong commitment to innovative research to provide robust intellectual property for Australia to improve its primary industries and to make Australia a major contributor of technology to address global food security. This is the second in a new series of essays from our Agriculture and Food team. View as a PDF. Our next essay will be on digital agriculture. Predictive analytics, remote sensing, knowledge management and blockchain: buzzwords or the ultimate disruptors? We’ll take a look at upcoming digital technologies and discuss how they can reduce costs and boost farm productivity. Our Food and Agriculture team are available to discuss commercial opportunities explored in this essay. Fantastic reading…thanks for informing me. I am a high school teacher of Technology. In 2018 the new syllabus for Year 7 focuses on Food & Agriculture, instead of only Food by itself. The main focus is meeting the world’s future food needs with the use of technology and eating healthy. Very interesting, look forward to next one.